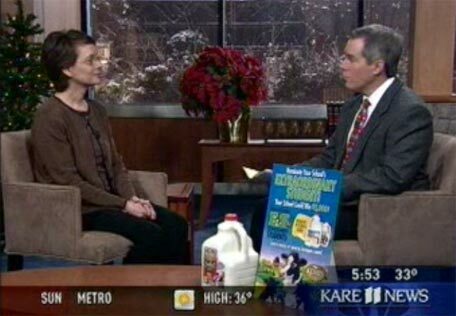 There’s no tougher brand challenge than differentiating a commodity product like a tall glass of cold, white milk. 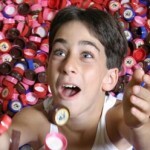 Maccabee helped Kemps create a bold new loyalty/cause marketing strategy, Nickels For Schools, a promotion which offers a nickel for every specially-marked Kemps proof of purchase redeemed by parents and teachers at K-12 schools. 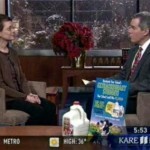 It was, incredibly, the first school fund-raising program in the Upper Midwest to be linked to the purchase of milk. The results were extraordinary. 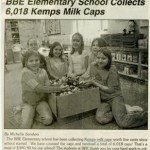 By the campaign’s fourth year, it had been embraced by more than 4,000 public and private schools across seven states, with more than 16 million Kemps milk caps/PUCs collected. Kemps was able to donate more than $1.5 million to schools for urgently needed supplies. What’s more, Kemps’ brand identity and goodwill was reinforced by more than 500 TV, radio and newspaper placements. Kemps reported that new retail accounts were opened as a result, with supermarkets enticed by the opportunity to participate in the popular program. 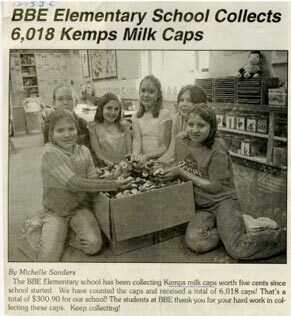 To keep the campaign fresh as it approached its sixth year, Maccabee took Kemps to the next level with the launch of “Extraordinary School Volunteers” and “Extraordinary Students” contests, which sparked even more consumer and retail excitement, media coverage and purchases of Kemps dairy products.